DATES and venues for the 2010 Munster hurling and football championships have been finalised and the U-21 footballers will be the first team into action. They will play Limerick, under lights at Páirc na nGael, on Wednesday March 3 at 7.30pm. Should Clare manage to win this one, they will play their semi-final against Tipperary under lights, on Thursday March 18 at Semple Stadium. Clare agreed to both of these games being under lights in mid week because of the involvement of a lot of their squad with their senior panel at a time when there will also be National League fixtures. Senior hurling: Semi-final v Waterford at Semple Stadium, Thurles on June 7 (Whit Monday) at 3pm; (Munster final on July 11). Senior football: Quarter-final, Clare v Waterford at Fraher field, Dungarvan on May 23 at 3pm; Semi-final, if Clare v Limerick at Páirc na nGael on June 6 at 3pm (Munster final on July 4). Intermediate hurling: Extra time in all games, Clare v Waterford on June 7 at Thurles at 1pm; Final on July 22 at 7.30pm. Junior football: extra time in all games, Clare v Waterford in Dungarvan at 1p.m. Semi–final, if Clare v Limerick at Limerick on June 6 at 12 noon. Final on July 8 at 7.30pm. U-21 hurling: Clare v Limerick at Páirc na nGael on Wednesday, July 14 at 7.30pm; (Munster final on Wednesday July 28 ). U-21 Football: Quarter-final, Clare v Limerick at Páirc na nGael on Wednesday, March 3 at 7.30pm; Semi-final, if Clare v Tipperary, on Thursday, March 18 at Semple Stadium in Thurles at 7.30pm (Munster final on March 27). Minor hurling: Quarter-final, Waterford v Clare at Walsh Park on Wednesday, April 28 at 6.30pm; Play-odd, losers of Waterford v Clare will play losers of Limerick v Kerry on May 1 at 6.30pm, venue to be arranged. Winners of that game will play losers of Cork v Tipperary on Wednesday, May 5 at 6.30pm. Semi-finals on June 24 with final on July 11. 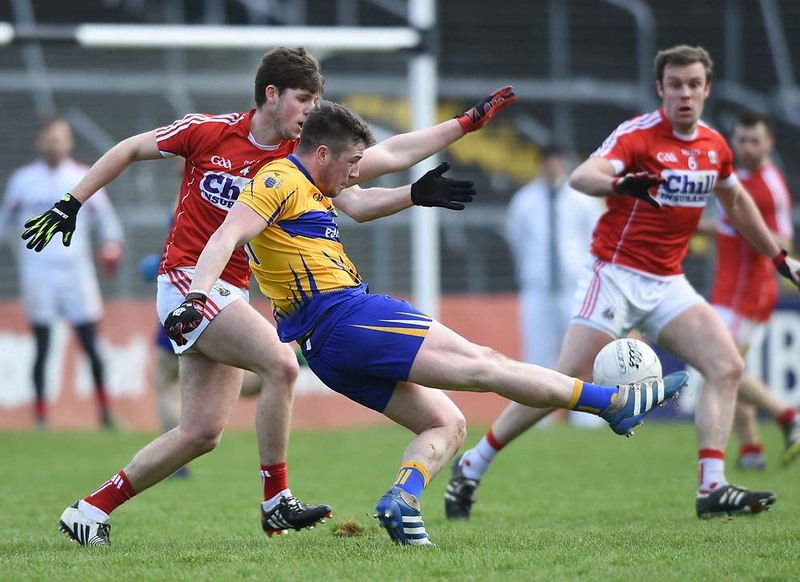 Minor football: Quarter-final, Clare v Cork at Cusack Park on Wednesday, April 14; Losers play losers of Limerick v Waterford on April 19 at 7pm with winners of that game playing losers of Kerry v Waterford on April 24. Semi-finals are on May 12 with the final on July 14 at 12 noon (curtain-raiser to senior final).